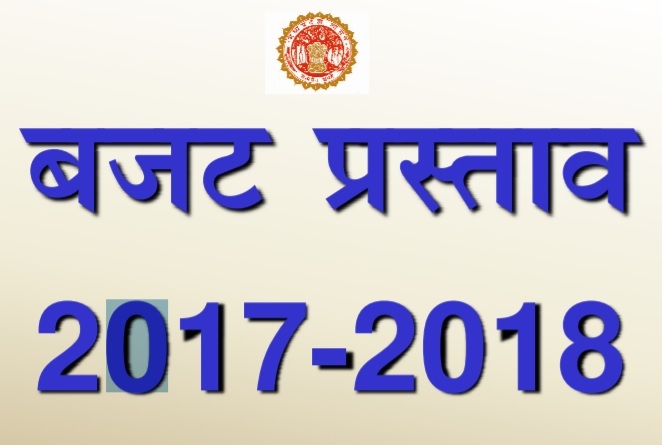 Madhya Pradesh Budget 2017-18 Highlights, Full in PDF: State finance minister Jayant Malaiya of Madhya Pradesh on on 1 March 2017 announced Madhya Pradesh Budget 2017-18. 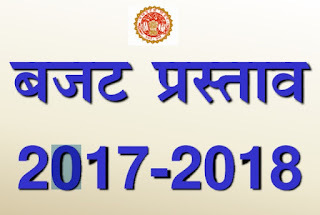 The state government of Madhya Pradesh introduced many new schemes for the people of the state. Malaiyya said that the government aims at providing better services to the citizen for which service provider or government employees should be contented and happy. The size of the budget 2017-18 is Rs 185564.27 crore, with a revenue surplus of Rs 4596.40 crore. While presenting the budget, Malaiyya announced that the recommendations of Seventh Pay Commission will be implemented from 1 January 2016. The hiked salaries will be paid from July 2017; however, arrears of 18 months will be paid in instalments. • Fiscal Deficit: Estimated at 3.49 per cent of GSDP. • Revenue Surplus: Estimated at 0.63 per cent of GSDP. • Interest payments: Estimated at 8.30 per cent of Revenue Receipts. • Rs 33564 crore was allocated for the year 2017-18 for 'Krishi' Budget. • Rs 2000 crore was allocated for "Prime Minister Crop Insurance Scheme"
• Rs 140 crore was allocated for micro-irrigation. • Rs 92 crore was allocated for Rashtriya Krishi Vikas Yojna. • Rs 62 crore was allocated for National Horticulture Mission. • Rs 50 crore was allocated for Crop Insurance Scheme. • Rs 91 crore was allocated for fisheries. • Rs 1001 crore was allocated for various departmental schemes. • Rs 2704 crore was allocated for various schemes of Forest Department. • Rs 3500 crore was allocated for Housing for All scheme in rural areas under Pradhan Mantri Awaas Yojana. • Rs 2642 crore was allocated under the recommendation of the 14th Finance Commission. • Rs 2000 crore was allocated under Mahatma Gandhi Rural Employment Guarantee Scheme. • Rs 1750 crore was allocated for the disposal/management of liquid and solid waste in 3000 Gram Panchayats under Nirmal Bharat Abhiyan. • Rs 1127 crore was allocated for providing basic amenities to Panchayats. • Rs 1000 crore was allocated for 'Housing for All' scheme in urban areas. • Rs 700 crore was allocated under SMART City Scheme. It proposes to include Sagar and Satna City in the second phase. • Rs 600 crore was allocated for Swacch Bharat Abhiyan'. • Rs 972 crore was allocated under 'Ladli Laxmi Yojana'. • Rs 5966 crore was allocated for Roads and Bridges. • Rs 2850 crore was allocated for PMGSY in the year 2017-18. • Rs 1418 crore was allocated for maintenance of roads. • Rs 9850 crore was allocated under the capital head for irrigation schemes. • Rs 552 crore was allocated for 'Samooh Nal Jal Yojna'. • Rs 900 crore was allocated for State rural drinking water program. • Recruitment of 36000 teachers. • Establishment of 2 New residential 'Gurukulam' in Tribal Areas. • Rs 215 crore was allocated for Rashtriya Uchchatar Shiksha Abhiyan. • Rs 200 crore was allocated for construction of college buildings and hostels under World Bank Project. • Rs 100 crore was allocated for development of 10 Excellence ITIs. • Rs 823 crore was allocated for the scholarship to backward blasses students. • Rs 590 crore was allocated for construction of 7 new Medical College buildings. • Infrastructure development in Medical Colleges already existing. • Scheme of Rs 4000 crore was allocated for converting temporary connections into permanent connections. • Grant amount to be raised from Rs 30000 to Rs 50000 for Kailash Mansarovar Yatra. • Rs 5850 crore was allocated for Police Force. • Rs 402 crore was allocated for Construction works for Police personnel.